ROBsessed™ - Addicted to Robert Pattinson: Robert Pattinson talks about his acting process, Good Time, Damsel and more! Robert Pattinson talks about his acting process, Good Time, Damsel and more! This was a solid interview from Business Insider while Rob was doing press in NYC this past week. Robert Pattinson may be known best for the role that made him into a global superstar and tabloid obsession, playing Edward Cullen in the “Twilight” franchise, but he’s making it very hard for everyone to keep him in that box. In his latest movie, “Good Time” (in select theaters Friday, nationwide August 25), Pattinson gives the best performance of his career so far playing Connie, a petty criminal who sets out on a mission to bail his mentally challenged brother out of prison. After the two botch a bank robbery, we follow Connie in a bizarre journey through New York, in which everything he does completely goes wrong. To morph into a greasy Queens hood, the 31-year-old actor spent months working with directors Josh and Benny Safdie (Benny plays Connie’s brother in the movie) before shooting began, which included dressing in character and doing improvised performances with Benny in public. 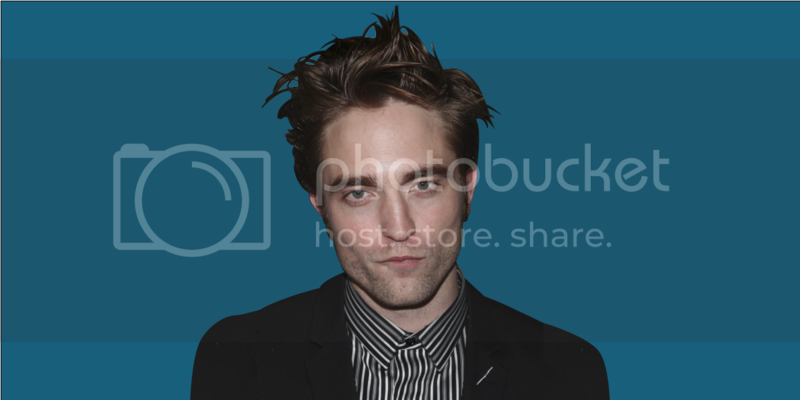 With a cluster of eager paparazzi waiting outside, Business Insider chatter with Pattinson at the Bowery Hotel in New York City to discuss his new role, why he spends so much time on movie websites, and with more “Twilight” movies to come, if he’d ever consider playing Edward Cullen again. Jason Guerrasio: You've said in interviews that it's seeing a picture of the Safdie's last movie, "Heaven Knows What," that sparked the interest to work with them. What were you searching for creatively back at that time? Pattinson: Also book review websites, anything where there could be something. I guess I'm trying to figure out what could potentially be a zeitgeist-type thing. Something that will connect. And it's very, very difficult to find anything that's in the zeitgeist. Guerrasio: So your process in choosing roles is different from the traditional method in Hollywood of an agent sending you material. You're searching for the material. Guerrasio: They've still got a good one in them. Pattinson: Yeah. Because hardly anybody has made anything good. Guerrasio: But with the Safdies you see this image, you're intrigued, but what happens if you go to meet them and they could be awful people. Did you vet them a little first? Pattinson: No. I had seen the trailer for "Heaven Knows What," and I had such a strong impression of them I knew I was right. The editing, use of music, it's just bold. I remember seeing "Heaven Knows What" for the first time and just the volume of the music I was like, "Jesus, it's deafening." Guerrasio: So in your eyes, even if these guys were complete pricks, you could deal with it because you dig what they do? Pattinson: Yeah. 100 percent. It worked out, because I really like them. But at the end of the day you're doing it to make something. Guerrasio: Not make best friends with them. Pattinson: And sometimes it's kind of good if you hate the person. [Laughs] The film production was only three months, I think you can basically do anything in three months. Guerrasio: There was so much prep to this movie. Was it fun to get made up and walk around New York City and not be recognized? As opposed to right now, we're in a lobby of a hotel and paparazzi are right at the front door waiting for you. Pattinson: It's a satisfying experience to do that. I'm trying to make something every time that feels new and surprises people. Hopefully at least one person. But it's not like I turn it off. I don't make a movie and then go back to my normal life. When I'm finishing one movie the next day I'm thinking about the next one. Guerrasio: Is that because you want that? You want to be busy? Pattinson: Yeah. But also, most of the time I'm by myself finding the next thing. Being an A&R guy, basically. I don't know how long I can do this for. I'm constantly fascinated by actors who are so confident with their career that they do a project and then go on vacation. Guerrasio: And then there are the actors that say "no" to everything. Pattinson: Oh, I say "no" to everything, too. But because I like such few things, when I take a role I just go into prep and that takes time, even for small roles I do that.